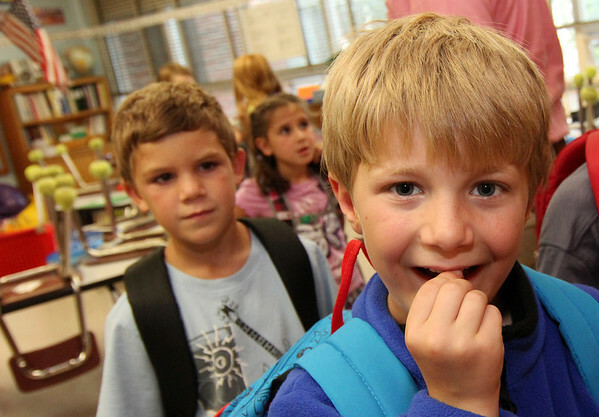 Allegra Boverman/Gloucester Daily Times On the first day of school Thursday at Essex Elementary School, Noah Foss, right, a second grader, shows off his loose tooth. Looking on at left is Cameron Sheahan. They are in Andrew Burnett's second grade class.